Usually triangular with its top pointing upwards. Usually triangular with its top pointing downwards. Is it permitted to drive a vehicle (other then an electric vehicle) on the sidewalk? It is prohibited to clean the sidewalk with a motorcycle. Yes, but only for the purpose of cleaning the sidewalk. Yes, but only vehicles towing a trailer. Yes, but only non-motor vehicles. 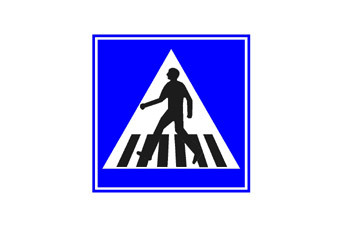 What is the meaning of the following road marking (where there is a lay-by and curbstones)? A parking space for two-wheelers. Stopping is permitted for certain types of vehicles, as indicated in the signpost in place. Stopping in the marked area is permitted for all types of vehicles. A place where stopping is permitted for non-motor vehicles only. What are the advantages in looking far ahead? It allows the driver to engage in other activities while driving straight. It allows you to plan your drive according to the road’s condition and to avoid being surprised by other road users. There are no advantages in looking far ahead. The important thing is what’s happening close to the vehicle. It has no advantages. Only looking to the sides assists the driver. 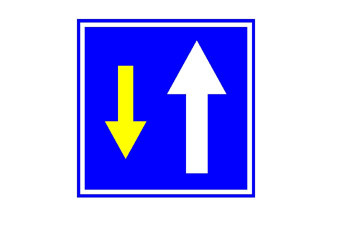 Driving in the direction marked with a yellow arrow is permitted for public transportation only. You have right of way on the narrow road. 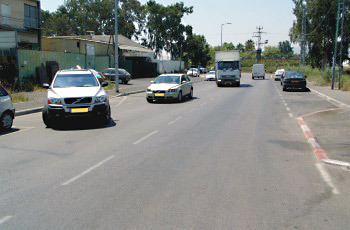 Give right-of-way to opposite motor traffic on a narrow and steep road. Drive only forward. Turning is prohibited. 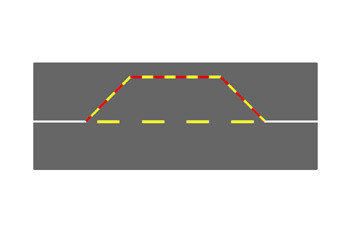 According to the following picture, is it permitted to deviate to the opposite lane? Yes, the driver already looked at the mirror and nobody came behind him. Yes, you can deviate to the opposite lane after glancing at the mirror, because no one drives behind. Yes, if the winker is turned on, there is no need to glance at the mirror. No, due to the double continuous separation line on the roadway. Driving a motor vehicle under the influence of alcohol or intoxicating drugs. Not stopping next to a “stop” sign before an intersection. Not placing a warning triangle while his malfunctioning vehicle was left standing on the road. 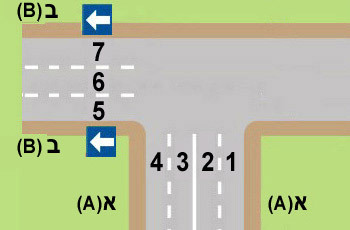 How should a driver turn left from a two-way road (A) to a one-way road (B)? From lanes 1 or 2 to lanes 5, 6 or 7..
From lane 2 to lanes 5, 6 or 7..
From lane 1 to lane 5. Only buses are permitted to stop. Passenger loading is permitted on holidays only. 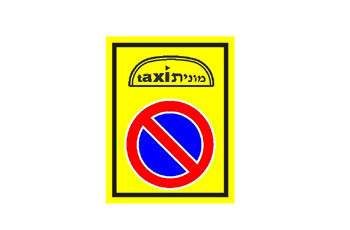 Only taxis are permitted to stop. Only unloading of workers is permitted. What reason justifies an unexpected pull from the roadway into the “hard shoulder”? Sudden appearance of an undesirable element in the driving lane. When another vehicle stops in the opposite lane without giving an appropriate signal. Ringing of the vehicles cellular phone. Technical malfunction in the vehicle’s air conditioning system. What would happen if the weight exerted on the tractor’s rear hydraulic arms is too high or far away from the tractor? The front wheels would lift in the air. The pressure and load would cause the tractor’s rear wheels to explode. The heavy load would damage the hydraulic system. The tractor chassis might be seriously damaged. The longer is the response time. The newer is the vehicle. Which of the following sentences is correct as regards to other drivers? You should assume that other drivers would always give you right of way. You shouldn’t assume that other drivers will always give you right of way. Truck drivers are professional drivers; hence they are less of a danger. 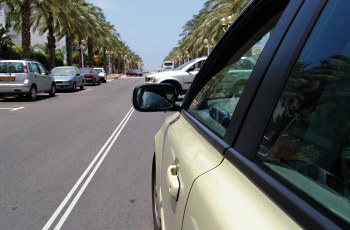 Drivers who turn-on the winker, always turn to the direction they signal to. Turn leftt- turn before the sign. 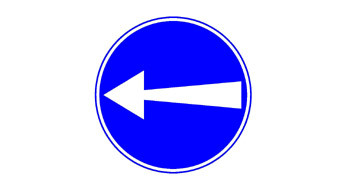 Entry to a one-way road. Drive left only. U-turn is prohibited. Turn left behind the sign. Can unprescribed medications have a negative effect on driving? Yes, but only in the summer. Yes, but only in the winter. Which vehicle is allowed to tow an agricultural trailer which is exempt from registration and licensing duties? A commercial vehicle with an overall permissible weight of more than 12,000 kg. What is a driver required to do after crossing a flooded road section? Stop at the side of the road and wait until the braking system dries up completely. Make a strong and sudden brake and check if the brakes are responding. Drive slowly and press gently and intermittently on the brake pedal, to ensure that the brakes function properly. 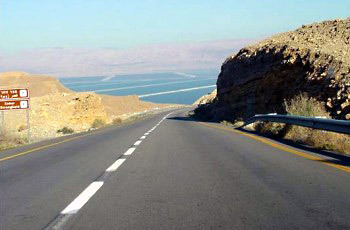 Continue driving normally, because there is no connection between water and the braking system’s efficiency. 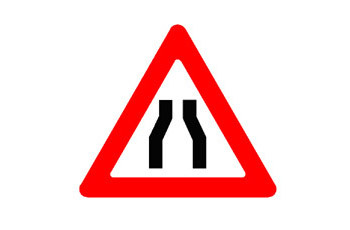 What is the correct way for pulling onto a “hard shoulder” which is lower than the road? Quickly pulling onto the “hard shoulder” and quickly stopping after a very short distance. Slowing down to a low speed and gradually moving onto the “hard shoulder”. 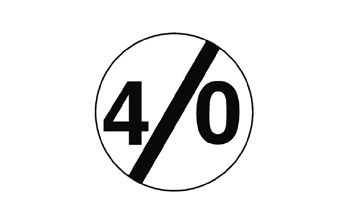 There is no "correct way": It is prohibited to pull onto a lower hard shoulder. Quickly pulling onto the “hard shoulder” and then slowing down gradually. What is the maximum allowed speed for a utility vehicle? Drive fast in the right lane. 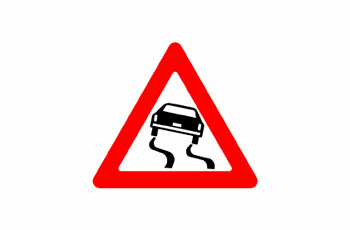 Slow down gently and refrain from sudden braking or sharp turns. Drive in the right lane and overtake quickly. Flashing orange light warning of an approaching level crossing. Flashing orange light at road works. Constant (not flashing) Orange light when traffic lights are not working. Constant (not flashing) orange light warning of an approaching forked junction.